Tata Consultancy Services (TCS) became the first Indian company in a decade to breach the $100-billion market value barrier after stocks in the IT giant soared on Monday. Shares in India's largest software exporter rose more than 4 percent following positive earnings results to hit a high of 3,557 rupees ($53.53) on the Bombay Stock Exchange's Sensex index. The surge propelled the firm's market capitalisation value to 681 trillion rupees, above $100 billion, as TCS became just the second Indian company in history to cross the symbolic mark. Reliance Industries, the energy-to-telecoms conglomerate owned by Asia's richest man Mukesh Ambani, was the first Indian group to breach the $100-billion marker, back in 2008. "It is an important milestone, which not only gives us something to cheer but also changes the perspective and sentiment toward other Indian software makers," Gaurang Shah, head investment strategist at Geojit Financial Services Ltd. in Mumbai, told Bloomberg News. The shares were spurred by a TCS earnings report released on Thursday which showed that the technology company had enjoyed a 4.4 per cent rise in consolidated net profit year-on-year for the quarter ending March. TCS recorded net profits of 69.04 billion rupees, beating many analysts' expectations. The IT services exporter has also been boosted by a weakening rupee. 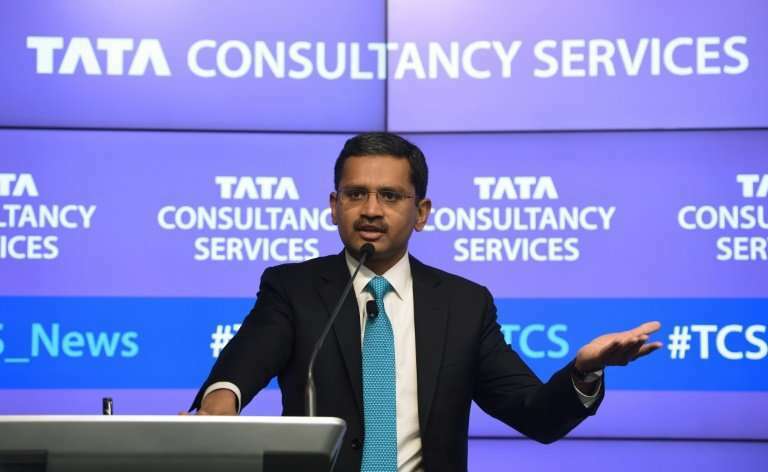 TCS was at the forefront of India becoming a back office to the world as companies—largely in developed nations—subcontracted work, taking advantage of the country's skilled English-speaking workforce. The flagship industry has made India a top business destination by offering software development and information technology, engineering and design and other services.